Kenny Tedford was born with brain damage that left him with the cognitive ability of a 4th grader, deafness in both ears, blindness in one eye, partial paralysis on his left side, and difficulty speaking until the age of ten — a remarkable combination of Helen Keller and Forrest Gump. And yet he is the most charming man you’ll ever meet. 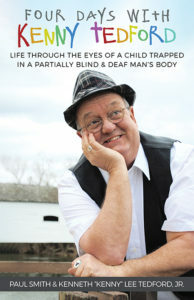 You’ll laugh, and cry, but mostly cheer, his fascinating life story. This book defines the 10 most important stories every leader needs to be able to tell at a moment’s notice, along with tips to help you find and craft your own — stories that explain where your company came from, where it’s going, and how you’re going to get there; stories that illustrate who your customers are, what you do for them, and how you’re different from your competitors; and even stories that explain why you lead the way you do, among others. 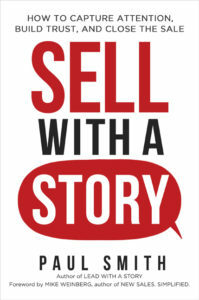 Amazon #1 Best Seller in Sales and Selling – Despite all the high-tech tools available to salespeople, the most personal method still works best — telling a great story. 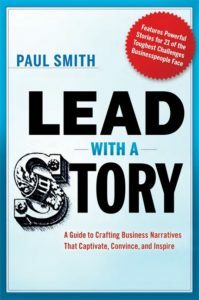 From master storyteller, Paul Smith, learn the 25 most useful sales stories, plus a step-by-step process to find and create your own. Amazon #1 Best Seller in Business Communication – This book contains ready-to-use leadership stories for 21 of the toughest challenges leaders face, plus a how-to guide for readers to craft their own. 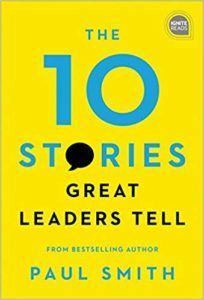 Complete with stories from over 50 companies like Procter & Gamble, Kellogg’s, Merrill-Lynch, Saatchi & Saatchi, Dun & Bradstreet, National Car Rental, Wal-Mart, Pizza Hut, and more, this practical resource gives readers the guidance they need to deliver stories to stunning effect. Based on interviews with over 100 people from around the world and from all walks of life as they reflect on their most profound and unexpected moments of clarity about who they are and how they should treat others. 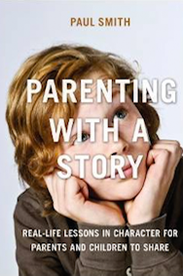 The lessons help teach 23 powerful character traits that will help your child grow into the adult you’ll be proud to call your own.